Quality Starts at the Thread! If a thread breaks, the last embroidered stitch just before the breakage has occurred cannot be fastened properly. Quality threads are the better choice! After rethreading, the same is true for the first stitch after the machine resumes the embroidery process. This may cause the stitches to unravel later on and may result in ugly gaps in the embroidery design. Trying to correct this problem by going back a few stitches and overlapping the stitches where the thread breakage occurred will cause a loss of quality since this will be visible in the embroidery design. 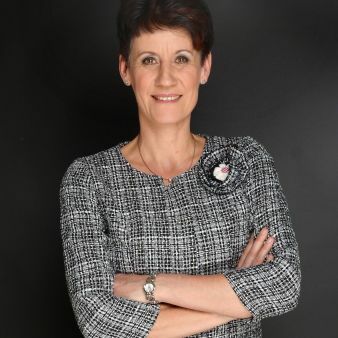 Quality Threads - The better Choice! Cheap threads, predominantly from the Far East sometimes show considerable deviations in both tensile strength and thread color. In addition fluctuations of thread weight from one lot to the next, or from one delivery to the next are by no means rare. Moreover lubricants applied to the embroidery thread as a coating to ensure a smooth running are often saved resulting in uneven embroidery designs or seams. But first and foremost, laboratory tests clearly show that producers of cheap embroidery threads use inferior raw materials to save money. The result: complaints or even worse you will lose a customer. 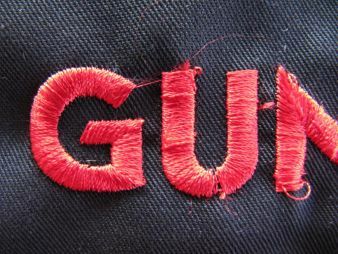 Needless to say that thread breakage may occur with any embroidery thread but then often caused by wrong thread tension or a wrong type of your sewing or embroidery needle. And especially in embroidery the fabric should be drum-taut when hooped up. A too tight hooping can cause stress on the needle and thread resulting in thread breaks. And last but not least the embroidery program has to be digitized according to the specific design, the fabric and the embroidery thread. 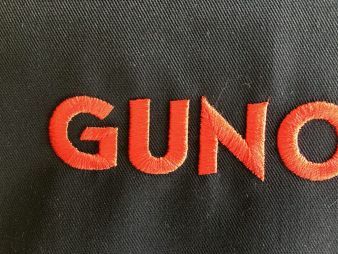 High-quality embroidery threads such as Sulky or Poly made by Gunold are made of high quality raw materials (e.g. : Enka viscose for Sulky, EU-polyester for Poly). 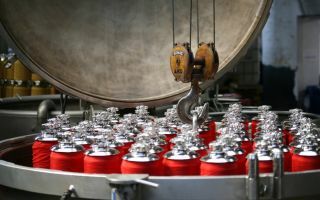 Lubricants, applied to the embroidery thread as a coating ensure smooth running of the thread throughout the whole thread pass. Even if you cannot see, feel or smell the lubricants, taking into consideration the different raw materials and colors, the right amount of lubricants is individually applied to each thread. It goes without saying that premium threads stand for consistently high tensile strength and color fastness, as well as for a low tolerance in color deviation and the identical thread size in all colors and dye batches of a particular thread type. Last but not least premium embroidery threads are typically available for immediate shipment in all colors of the color card. A cheap thread almost always leads to production loss and loss of quality! 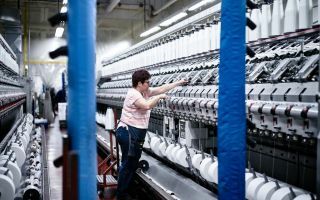 Tests clearly show that a 20% cheaper thread than a premium thread causes one additional thread break per one hour machine operating time and thus a quite considerable production loss. Machine downtimes have an impact on productivity, and with increasing numbers of embroidery heads of an embroidery machine the loss of productivity will increase exponentially. Therefore an assumed reduction of cost by using a cheap thread could lead to dramatic losses of production and considerable quality losses. The recommendation is therefore to better use high-quality embroidery threads and avoid the above described problems right from the start. The embroidery threads Sulky, Poly, Cotty, Filaine, Mety are made from high quality raw materials and are finished by applying up-to-date twisting and dyeing technologies. Sulky impresses with its softness, delicateness and sheen. For embroideries on jeans, work wear garments or sportswear, Poly is the perfect choice. For a more natural look Cotty, is an ideal option and Filaine is the perfect thread for rustic embroideries with a typical needlework look. The extensive color charts of the individual thread qualities, which are always supplemented by additional color nuances, in addition to the basic colors, thus fulfilling all fashion trends, open the doors to unlimited possibilities for eye catching, stunning embroideries. 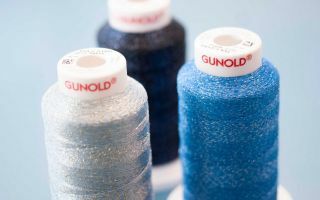 Well-known embroiderers and garment manufacturers have been trusting Gunold embroidery threads for many years and are committed to quality, excellent runability and color diversity. They acknowledge that premium embroidery threads are the better choice! Test our premium threads and see for yourself!